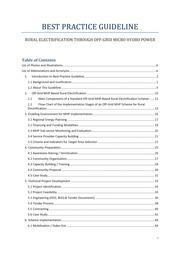 English: This Best Practice Guideline shall be seen as a supplement to existing technical, financial, and administrative guidelines and although it will be particularly useful to stakeholders that are new to MHP for rural electrification, there is plenty of sound advice and good practices for the more experienced stakeholders. 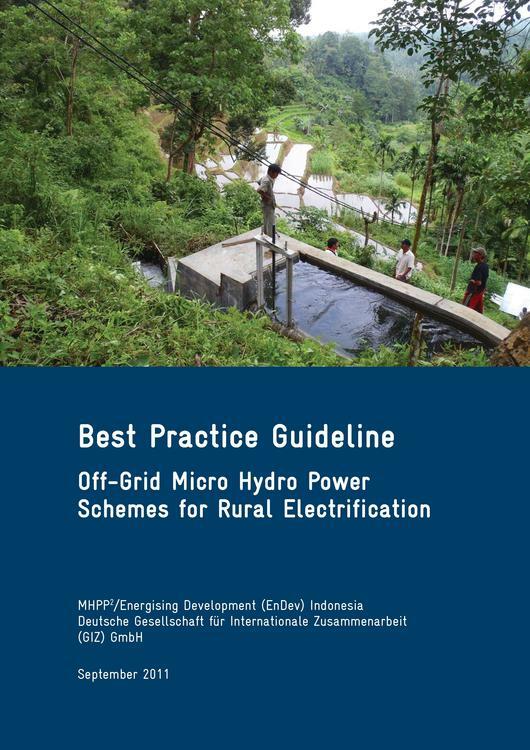 The Best Practice Guideline can be read in its entirety as a simple text book or it can be used as a manual to provide insights for specific topics and processes. This page was last modified on 26 November 2014, at 14:45.